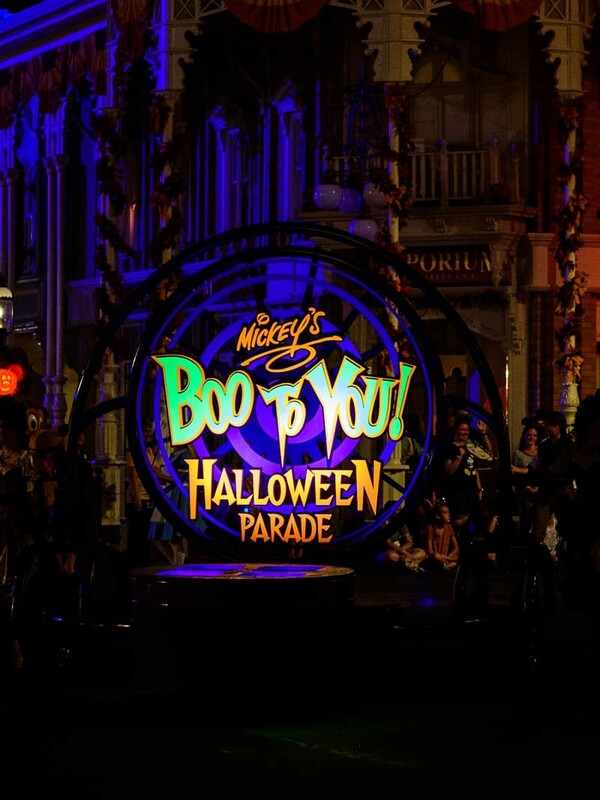 Don’t miss out on all the fun at Mickey’s Not So Scary Halloween Party! Use these five tips to do it all and avoid the crazy crowds while doing it. Every year we have the exact same routine when we got to Mickey’s Not So Scary Halloween Party. We get there at 4pm, stake out spots for the parade starting at 6pm, watch the first parade and the fireworks show, and then mosey around until the party is over at midnight. It was an okay system, but not one where we got to see or do a lot. This year we changed it up a bit and we had the best time at the Halloween party. There was less stress, more fun, and lots more time to just enjoy everything Mickey’s Not So Scary Halloween Party had to offer. And we didn’t have to fight the crowds for good parade spots. Which is really the most important part. Last year at Mickey’s Very Merry Christmas party I had a run-in with a woman who really ruined the whole party experience for me. It made me very cautious this year and also made me search out new ways to avoid the crazy crowds and hot tempers of others. Y’all….just remember that everyone pays to be there. Be kind and enjoy yourself. Without that experience last year I don’t think I would’ve forced myself to look at different ways to do the party. So, in a weird way, I’m kind of grateful for that unhappy woman and the beyond unpleasant experience. It made this years holiday party much more relaxed and enjoyable! a great excuse to dress up and get candy as an adult! 5 Ways to Do It All at Mickey’s Not So Scary Halloween Party! + Get there at 4pm! If you have your party ticket the doors open for you at 4pm (2pm for DVC members!). When you scan your magic band to get into the parks you’ll get a wristband from Cast Members for the party. This helps them know who has a party ticket and can stay after the park closes to the general public at 7pm. These three hours also give you the opportunity to ride rides (grab Fastpasses if you can!) and get a few daytime photos in your costumes! + Take pictures as soon as you get in the park! I like daytime photos much more than the red-eyed flash-induced photos you get at night. We walked right into the park and took pictures with a ton of photopass photographers right at 4pm. We did have to stand in lines but it was worth it to us to have nice and bright pictures from the beginning of the party. And to also look put-together and cute…before the sweating and exhaustion kicked in. + Trick or Treat early! If you can trick or treat during the first parade, do it! The lines are super short and you can get more stations done during that time. 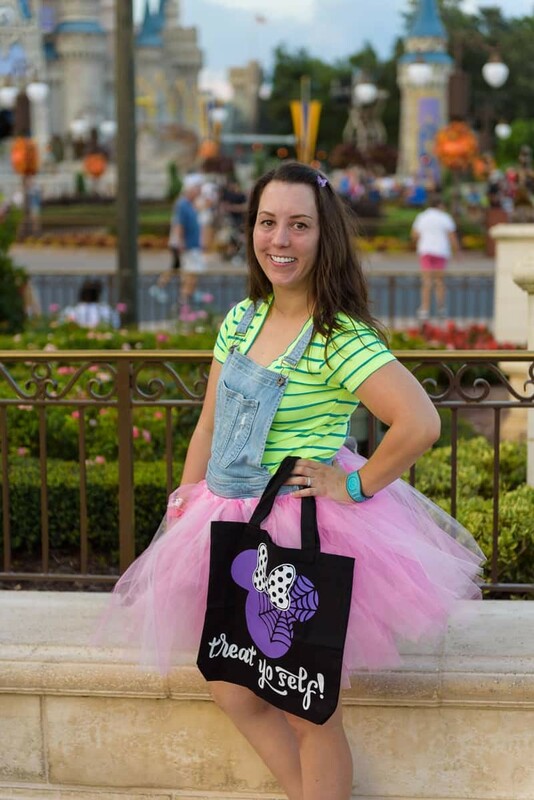 When you first walk into the parks you’ll get trick-or-treating bags from Cast Members. You can bring your own or even buy one of the ones that have in the stores at the parks! We chose to make our own and used those. HOWEVER. If you are getting the allergy-friendly candy you will need the teal bags that the Cast Members pass out! PRO TIP: If you’re on an adult-only trip OR have older kids (teenagers) don’t take that much time trick-or-treating. Maybe do a few stations and then go see characters or go on rides. The candy really is great to snack on though while you’re waiting for things so I always suggest getting at least a little bit! + Catch the Hocus Pocus show early. If there is one thing you should show up early for it’s this. It was our first year watching the show and I am so obsessed with it! It’s really funny and the crowd really gets into it. But really, this is one stage show you don’t want to miss! The Sanderson Sisters and Disney villains are perfect together. Disney really had a great idea with this show and I don’t see it’s popularity waning anytime soon. + Watch the second (11:15 pm) parade. I kind of talked about it earlier but my bad experience last year made me want to stay far away from the first Halloween parade this year. It’s so crowded and people are terrible at trying to push in the last minute for that front spot you’d been holding since 6pm. I wasn’t going to do that this year. Luckily our toddler was wide awake for the second parade and we grabbed our spot 15 minutes before the parade started and got to sit right in front. It was perfect. Depending on where you decide to sit you may have to grab your spot a little earlier than 15 minutes. We opted to not sit anywhere near Main Street or the hub which meant less people and a more enjoyable viewing experience for the 3 of us. It also meant that the characters interacted with our toddler a little more since our viewing area wasn’t as packed! + If you love Pirates of the Caribbean as much as we do you HAVE to go on it during the party! This is the first year they put actors inside the ride and it’s such a fun experience. + They also had a Halloween experience on Space Mountain but we didn’t do that one because we were busy doing other things. If you go on that during the party let me know what special thing they did to it! Chris and I are guessing they projected pumpkins and other Halloween-esque things onto the ceiling. + Character Meet and Greets! We only did a few this year and found the lines to be shorter during the first parade. If there are characters you want to see (like Jack and Sally!) I would make a plan to stand in line for a bit (especially for the more popular characters!). I’ve always found that wait times are shorter during parades so that is definitely an option to look into if you want pictures with them! We love Mickey’s Not So Scary Halloween Party and go every single year! This year was my favorite out of all the ones we’ve done because we got to do and see more AND we weren’t dealing with crazy crowds and bad tempers. But it was fun none-the-less and I can’t wait to go back next year! 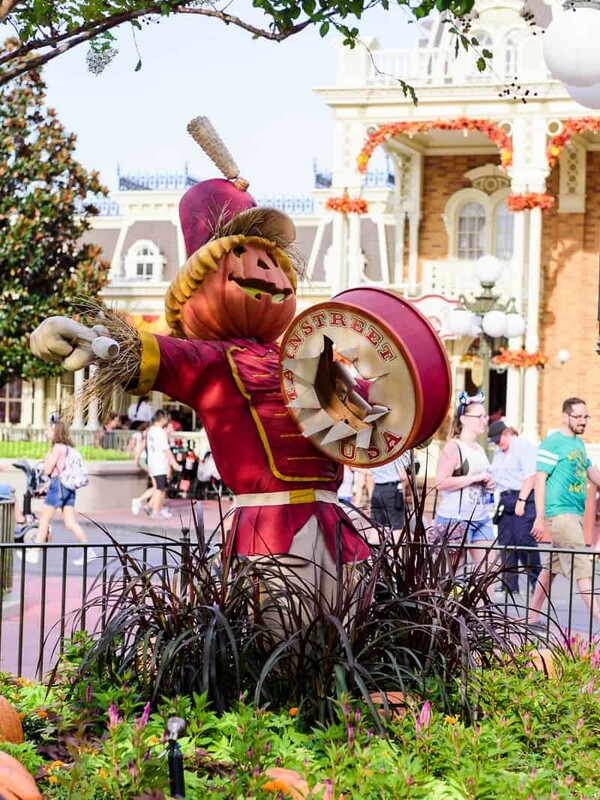 Need more tips for doing Disney in the Fall? !